Very few herbs are as universally grown and loved as rosemary. Rosmarinus is Latin and it means “dew of the sea,” and in the wild this herb is commonly found growing on sea cliffs around the Greek Islands. Despite the different forms and colors, all rosemary varieties offered in nurseries belong to one species, R. officinalis. Rosemary flowers come in shades ranging from pale pink all the way to deeply rich colors in hues of dark blue, mauve and white. The form varies, from short and rounded bushes and prostrate varieties that creep along beds and borders or hang from baskets and planters. Almost all rosemary variety are well suited for culinary use. All rosemary plants are evergreen, with small, narrow pointed leaves and a refreshing pine/resinous scent. The plants require full sun and well drained soil. Rosemary prefers a moderate, alkaline soil, but isn’t too fussy as long as the soil drains quickly. Propagation by cuttings is the best method for growing rosemary. The seed germinates poorly, if at all, and plants grown from seed do not “come true” to variety. Rosemary does best without organic mulches. These mulches tend to hold in excess moisture and encourage stem and fungal rots. If you must mulch, use gravel or pebbles around the base of the plant. 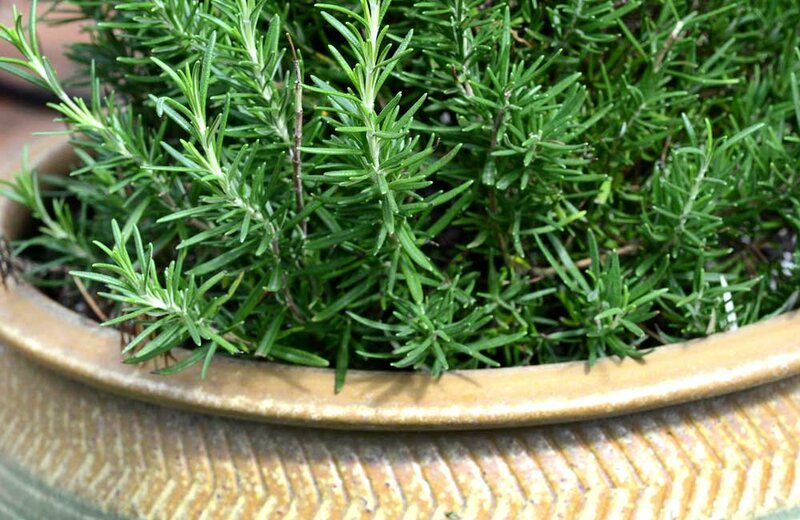 Rosemary can be harvested at any time. Take small clippings near the base of the plant. Harvest no more than you will need for cooking, drying or crafts. Replace rosemary plants every 5 to 7 years, as the main stems become woody and produce less leaves and foliage. Trivia: Legend has it that Mary placed her cloak over low growing branches of rosemary as she stopped to rest on her way to the stables to give birth. Such was the virtue of the mother of Jesus, that the flowers changed color from white to blue, matching the color of the Star in the East.